Editor’s Note: The above is a Bing.com translation of an earlier article published by SvD 2 May 2014 at 6:45 PM, and later taken out from the Net. 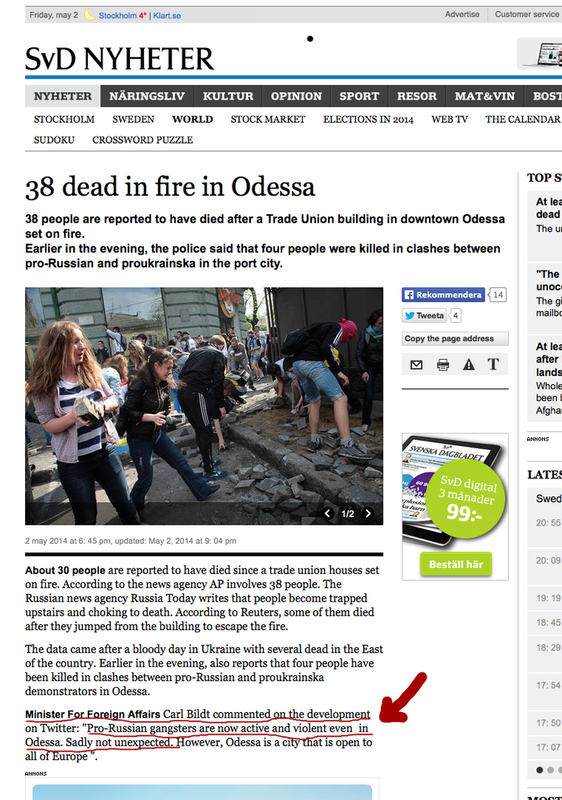 The figures of “30 people are reported to have died” correspond to the earlier official reports by the Ukraine government – a source invariably used by Swedish media. 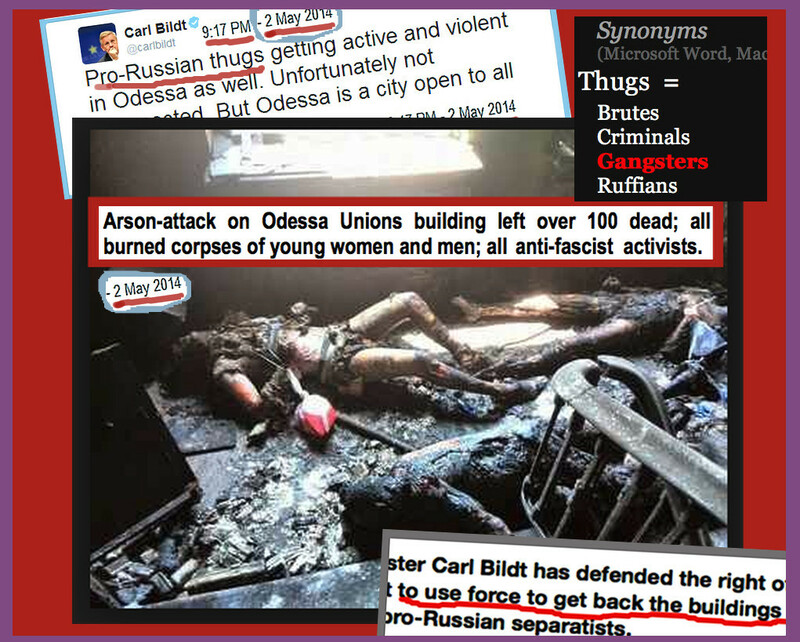 The wording “Pro-Russian gangsters” is Bing.com’s machine-translation of the Swedish article. 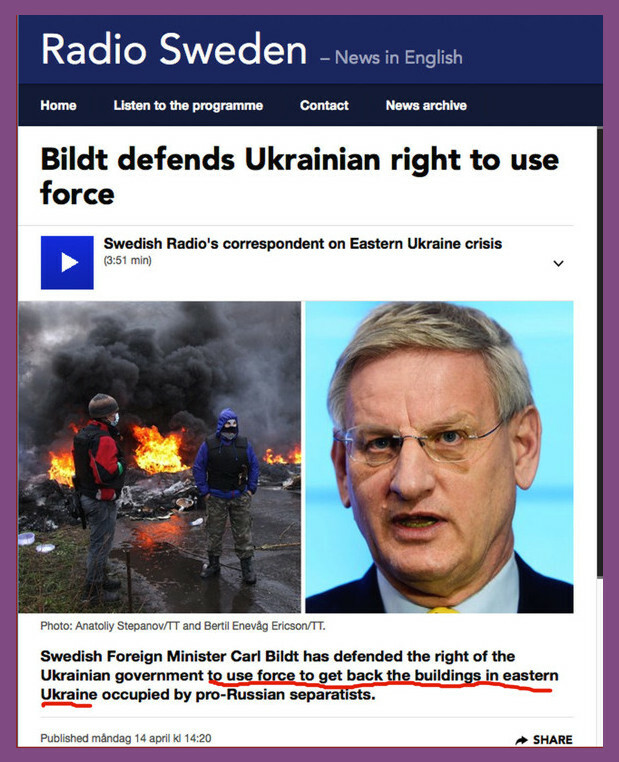 Bildt used in his tweeter “pro-Russian thugs”. Also according to my word processor (Microsoft Word, Mac version), Thugs is a synonym for Gangsters. 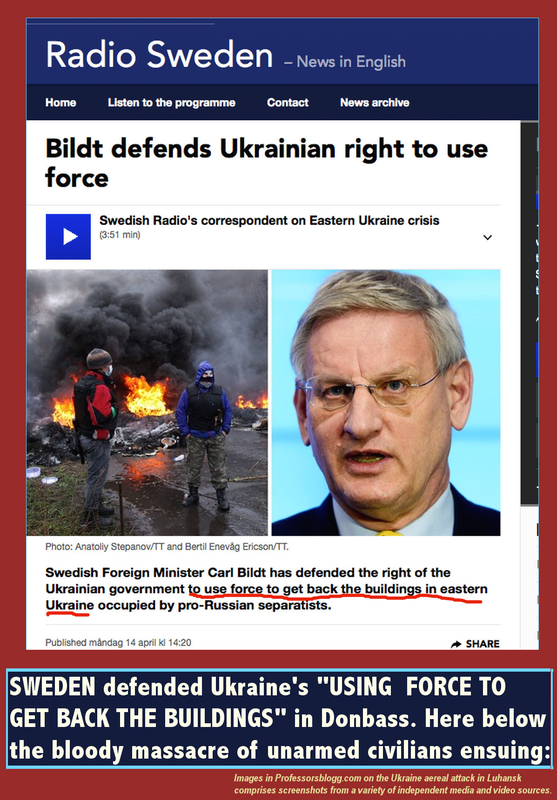 Other references on Carl Bildt’s preposterous blaming on the victims – for the tragic outcome of the Nazi arson-attack on the Union building where over 100 anti-Kiev activists perished –to be found in Aftonbladet and Gotiskaklubben (blog). Click on image below to view the video. Warning for strongly sad document-images.